Aside from the obvious similarities, there are times that, when playing Dying Light, you’d be forgiven for forgetting that Techland are the developers behind it. While that seems like damning with feint praise, I’m certain they would acknowledge that, while Dead Island is a series enjoyed by many, it wasn’t without its fair share of technical hiccups. Actually, that’s the first thing to note, here. Despite being an unfinished preview build, my three and a bit hours with Dying Light were hitch free, with no bugs in sight, and a clear and stable frame-­rate throughout. And that’s an important factor in the moment ­to ­moment gameplay, too. 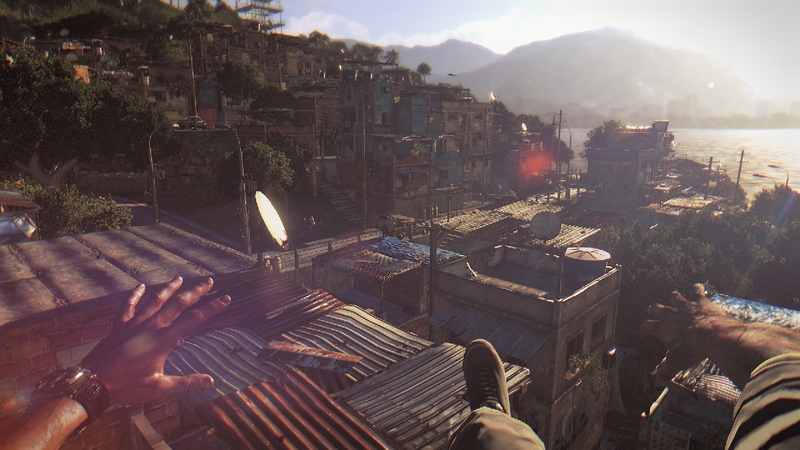 Where Dead Island was a series of encounters with zombies on the ground, Dying Light lets you take to the walls and roofs, flowing around the environment with your parkour skills. Dare I say it, at times it’s actually similar to the gameplay in Mirror’s Edge. Fundamentally, the mechanics are very similar. You’ll be forraging for crafting materials to make new weapons (or fix old ones), and heal yourself up. But there’s also a constant feeling of progression thanks to the three levelling systems: survivor, agility, and power. As you use each of these three skills, they will level up, allowing you to unlock new abilities through the skill trees that further enhance your capabilities. It’s nothing new really, but in the context of this kind of game, it’s a rewarding experience that actually changes how you play. That small gap you saw earlier? Yeah, once you’ve unlocked the slide ability and night draws in, you’re going to need to use that to escape. The titular light plays a huge part, you see. During the day you feel powerful, possibly too powerful. You can see the zombies (and they do call them that, refreshingly) and you can pick them off. You can avoid a huge crowd, and dominate the smaller ones, thanks to the ability to kick and keep them at arm’s length. That’s not to say you’re invincible, however. One moment (emergent gameplay is a buzzword, but that’s what this was) I was looting cabinets and locked boxes, the next I hear a human (alive) scream. Cowardly as it may be, I bolted from the room as five zombies rushed in. “To the roof!” was my yellow­bellied cry, and so I did. Unfortunately, some of the zombies can climb. Sadly for them, I can kick them in the head before they get to me, watching as they fall onto a spike trap. The parkour works really well, you’ll be pleased to hear. While it takes a massive amount of adjustment to not use “X” as jump, hitting R1 and holding it to grab ledges eventually becomes natural. All you have to do is look to the next finger placement, and you’ll continue your climb. Shimmying across a ledge is a nice way to escape the horde, but eventually you’ve got to come down. But back to the nighttime. Flickering embers from burning cans are a source of light breaking through the darkness, appearing as beacons of hope. Don’t actually treat them as beacons of hope, though, as often crowds of zombies are all around them. The dark is your enemy, as you just can’t see well enough. A moment of safety is destroyed as the undead shuffle into view as you round a corner. It’s terrifying, and the panic sets in just as it does in the very best of the genre. Dying Light looks brilliant ­ whether you’re scanning the skies and watching birds circle, or dashing away from a hulking beast of a zombie, because your weapons are weak and you’re no match for the horde. That steady frame­-rate comes into play when it gets hectic, and while we’d all prefer 60fps, the decision to lock it at 30 at least makes sense here. But it’s not all perfect, however. The dialogue is at best average, and during the worst moments, it’s appalling. Certain characters stand out (though I won’t spoil anything here), and it’s a wonder they were asked to do a second take. Some of the story missions leave a little to be desired, too, and I can’t be the only one a little tired of following orders over a radio. Elsewhere, while the world and visuals are great, there needs to be some variation, which may well come later in the game. The apocalpyse looks great, here, but it’s a brown one, and not one that looks like The Last of Us, for example. 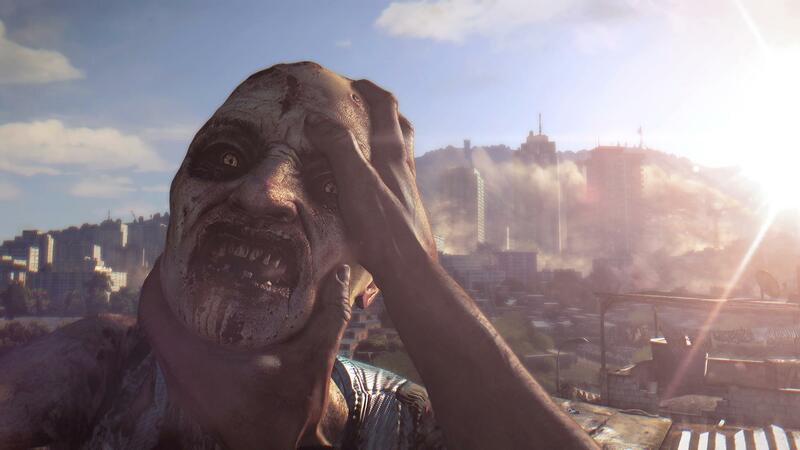 Dying Light could be the game Techland always threatened to make. It’s far more serious than Dead Island ever was, but it’s also (even at this stage) more polished, and has a story that I actually want to see unfold. We won’t find out whether it can live up to these early impressions until release later this month, but here’s hoping.